Call 02380 080681 now. We offer a free phone consultation for people knocked down or hit by cars, motorbikes, and cyclists. Pedestrian accident compensation in Southampton and Hampshire with our no win no fee* solicitors. Pedestrians are at high risk. We can help with accident and injury claims. Pedestrians are amongst the highest risk categories when it comes to road accidents. You have no protection from cars, bikes, buses, and cyclists so being hit can result in sometimes catastrophic injury. Whilst not all pedestrian accident claims are as serious as that, it still doesn’t mean you are not due and eligible for personal injury compensation. If you or a family member has been knocked over by a car or injured in any other circumstances on a road or pavement and would like to make a claim then call us today. We off a free phone consultation. Call to find out how our no win no fee* Hampshire and Southampton injury and accident solicitors can help you. 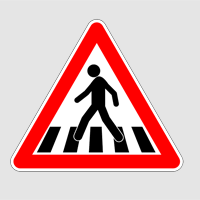 Pedestrians can be injured in multiple different ways. We can support help you to claim for pedestrian accident compensation for all types, but below are the most common scenarios that our Southampton and Hampshire solicitors have helped with or can offer support on. Pedestrian road accidents are the most common type that we deal with and our Southampton solicitors have years of experience in helping like you to get access to the legal system. They will go the extra mile every time to ensure you receive the maximum compensation payouts possible. Pedestrian accident compensation will vary depending on the type of injuries and financial losses you have incurred. Our accident claims advice specialists will able to give you more information once you call and tell us a little but more about your situation. Do You Need Insurance in Order to Claim? Pedestrians do not need insurance policies in order to make accident claims. If the injury and accident was someone else’s fault, and we can find blame during the legal process, then your compensation will be paid from third party insurance policies. We operate on no win no fee* meaning there are no upfront fees for you to pay in order to get access to justice. Other Accident Claims Types: If you are a car driver then we can represent you in a car crash claim. We also offer no win no fee* compensation claims for bus and coach drivers, cyclists, and motorcyclists. Call our team now to start your personal injury claim on a no win no fee* basis. No win no fee* – Find out how much your claim could be worth by completing the form below. START YOUR CLAIM TODAY 02380 080681 **We have a team of technical claims qualifiers who will speak with you and if you have, in our opinion, a valid claim we can refer your case to one of the personal injury solicitors on our panel. * Other costs could be payable. Our panel of solicitors are specialists in Personal Injury. Contact us today for expert advice to help you get the compensation you deserve. The Personal Injury Solicitors Southampton website is operated by Friends Legal Limited. This site is operated by Friends Legal (Marketing) Limited. Friends Legal (Marketing) Limited (Company Reg Number 06639815) hold a temporary permission with the Financial Conduct Authority to continue performing regulated claims management activities under reference number 830095.